I am conducting research with the ASEAN Humanitarian Assistance which co-ordinates emergency responses in member states. My colleagues and I are collaborating to design a ‘decision support system’ for faster and more accurate planning. Overall, my research focuses on artefact design and behavioural analysis in digital communications and interactions. Notwithstanding the promise that an IT artefact holds, I believe that the value of the IT artefact depends on how human beings interact either with it or via it. My research has mainly focused on how user interactions with IT artefacts can capture additional business value. While maintaining this research direction, I am also expanding my research focus to consider how digital user interactions and communications lead to societal benefits, such as disaster management and emergency responses, and environmental sustainability impacts. I am a Director of MSc. 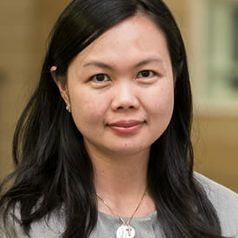 E-Business and Innovation, and Co-Director of the Connected Communities Research Lab (CCRL).